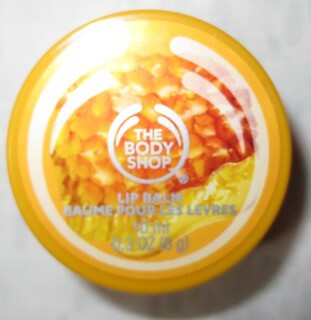 I've been a long-time fan of The Body Shop's Lip Balms and Lip Butters, and I always used to receive a few different scents in my Christmas stocking each year growing up. My parents always had products from The Body Shop around the house, so I'm always excited when the brand releases new scents! Their newest release is the Honeymania Collection, and today I have the Lip Balm* ($6 CAD) to share with you! "This luxuriously sweet lip balm contains Community Fair Trade honey made from the nectar of wildflowers. It has a sweet, floral scent and leaves lips feeling kissably soft. The Body Shop Honeymania Lip Balm has a beautiful scent that is a nice mix of sweet and floral. The Honeymania line uses Sheka honey, which doesn't have that traditional scent that we can all recognize. I personally love the traditional honey scent, but I also love this new take on the honey scent. 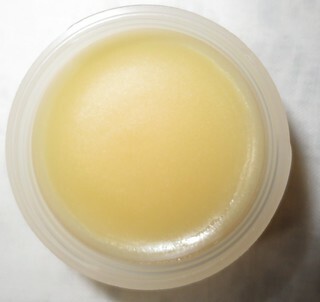 This lip balm is lightly fragranced, so you won't be able to smell in once it's on your lips. These lip balms from The Body Shop are quite light in consistency, and I like to apply them throughout the day when I'm around the house. These aren't ultra hydrating, so if you need more moisture I would recommend checking out the Lip Butter line. These hydrate my lips for about two hours before I feel like I need to reapply, and they don't last too well throughout eating or drinking. Nevertheless, I do still love this lip balm, The Honeymania formula offers a slight gloss to your lips, and I like to apply it over lipsticks to give a bit of hydration without going overboard on colour. I want to try it after reading this review great job. I havent tried any yet, i really like the sound of them!